Stonecrop. A clump-forming perennial with fleshy glaucous dark green leaves. 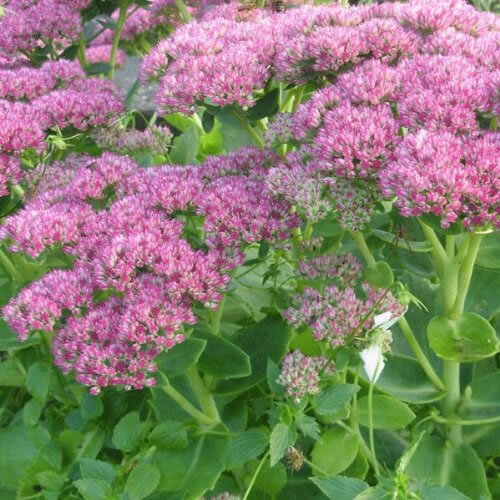 Flat clusters of star-shaped deep pink flowers in early autumn. Height 60cm. Spread 60cm. Flower colour Pink. Flowers from September to October. Herbaceous. Foliage colour Green. Hardy. Planting instructions Water thoroughly before planting.